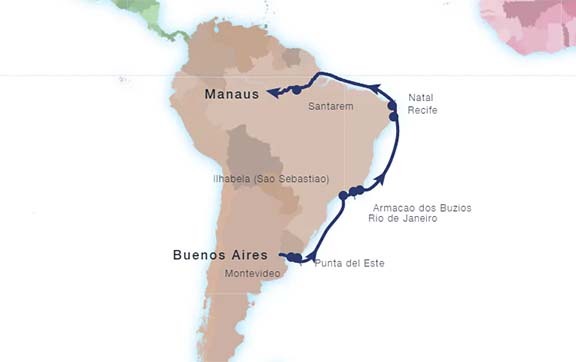 From cosmopolitan Buenos Aires, sail the lush coast of Brazil to Rio de Janeiro and colorful, colonial Recife and Natal, then enter the astonsihing Amazon River to explore nearly a thousand miles of its forested banks. * All prices quoted are PER PERSON in Australian Dollars and include taxes, fees and port expenses (if applicable). 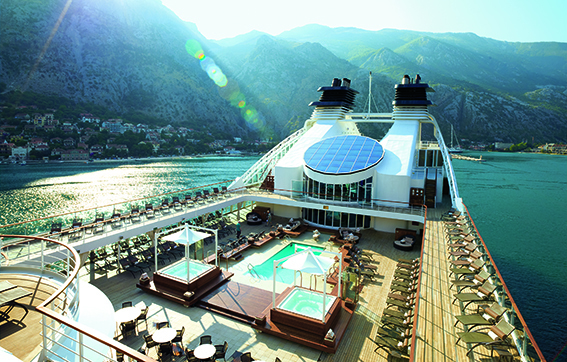 All prices quoted are for the cruise departing on 15Mar20. Prices for alternative departure dates may vary. Gratuities included.